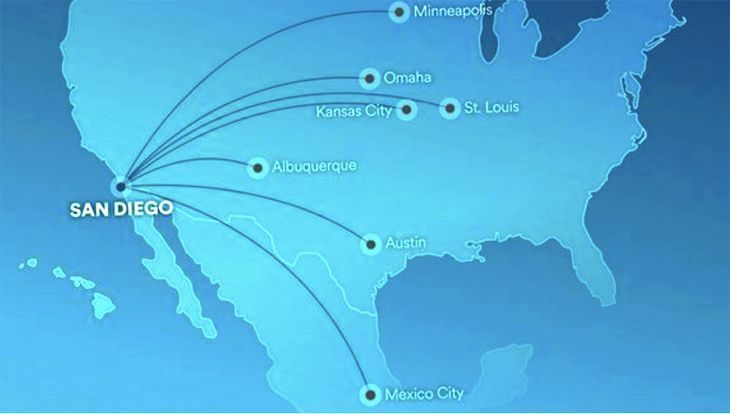 Just a week after announcing 13 new nonstop routes from the Bay Area starting in late summer and fall of this year, Alaska Airlines is aiming to strengthen its grip on the California market even more by launching service on six new routes from San Diego. The expansion calls for daily service from SAN to Omaha and to Austin starting August 27; to Albuquerque beginning October 18; to Minneapolis-St. Paul as of November 18; and to Kansas City and St. Louis beginning December 15. 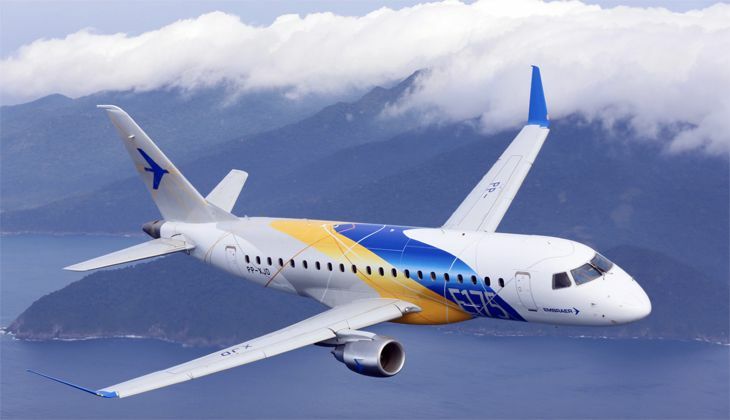 All routes will be flown once a day with the popular 76-seat, three-class E175s (12 seats in first class, 12 seats in premium class and 52 seats in the main cabin). Once a day is not really enough to entice business travelers who love multiple options when plans change, but at least it’s a new nonstop option. In many of these markets, Southwest also operates one or two nonstops per day. Alaska has been gradually building up its presence at California’s second largest city. Some of that growth begins this week, including new daily San Diego-Baltimore/Washington flights and three daily roundtrips between SAN and Sacramento. Alaska also recently won authority for new service from San Diego to Mexico City, but schedules haven’t yet been set. It’s a busy week for Alaska inaugurals in other markets as well. In addition to the San Diego flights mentioned above, the airline this week is kicking off a daily San Jose-Newark roundtrip; a daily Portland-Orlando flight; and three flights a day between San Jose and Burbank. Alaska said that over the past five years, it has added 18 non-stop destinations from San Diego; by late August of this year, it will be operating 40 daily flights from SAN to 28 destinations. “From San Diego, guests can make convenient connections to Tokyo and London, served by partner carriers Japan Airlines and British Airways,” the company noted. Last year, Alaska’s Horizon Air unit placed an order for 30 new E175 jets, with options for 33 more. Deliveries are due to begin this year. SkyWest Airlines also operates some E175s for Alaska. As it grows its own brand presence, Alaska must also figure out how to blend its network together with Virgin America’s. In last week’s announcement of new service from the Bay Area, Alaska said that all the new mainline routes would be flown with A320 family aircraft. 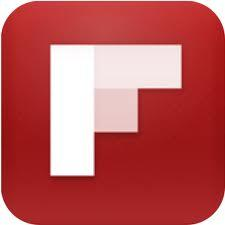 That’s the type used by Virgin America – although the company didn’t say they would be operated by Virgin America. Alaska is expected to decide later this month what it will do with the Virgin America brand– so stay tuned!